Fancy Yellow & Diamond Double Halo Ring. 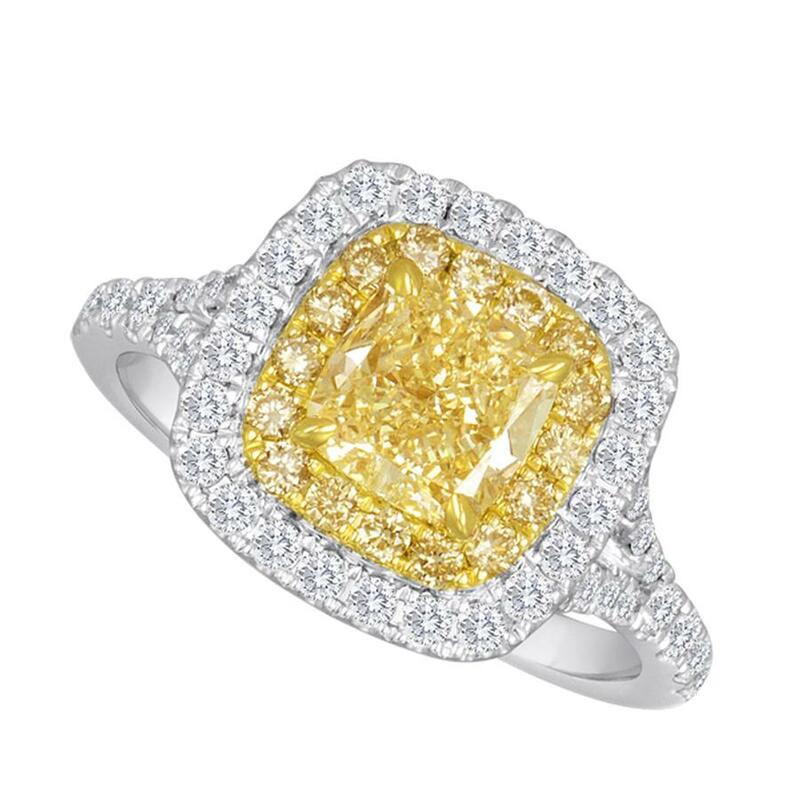 This diamond ring has a 1.24ct YZ, VS1 GIA center stone and is surrounded by yellow and white diamonds. The ring is a split shank ring with diamonds going half way down the shank.